A six-week discovery of personal evolution. Everything is online - you can begin today! 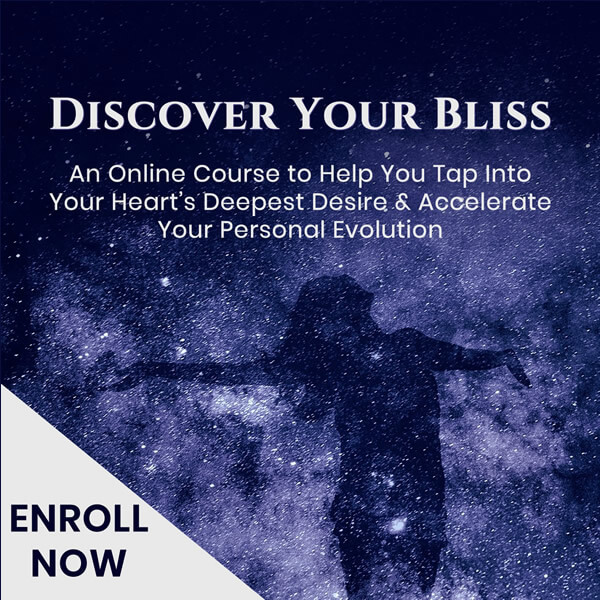 Discover Your Bliss is an online course that is offered in 11 modules, broken down into bite-sized video lessons. As soon as you enroll, you can log in and begin watching the first lesson! From your private account, you can watch and re-watch the lessons, download worksheets, and keep track of your progress in the course. Once you enroll, you'll have lifetime access to the classes. Expect to spend six weeks going through the course the first time, but you can revisit it anytime you feel like you need a "recharge" in life! The information is timeless, and the activation & upgrade you'll feel just from listening to the lessons is priceless. "But how do I know it's right for me?" You feel like you’re ready to take your personal evolution to the next level. You know there’s more you out there, but you don’t know how or where to find it. You struggle with knowing your true path in life. You have a buried genius inside you, and you’re ready to let it flow out into the world. If you have the desire to discover your true bliss, then this course will lead you to your truth. Discover Your Bliss is an online course, complete with streaming videos & resource links for extended learning. You can go at your own pace, and once enrolled, you'll have forever access. Are You Ready to Make This Your Best Year Ever? Discover Your Bliss will transform your mindset, and with it, your life. Are you ready to experience all that life has to offer you? Are you ready to explore your deepest heart’s desire and create a fulfilling life like you’ve only dreamed possible? Split your payment into two installments - first payment today & then one next month! Split your payment into three installments - first payment today & then just two more! When I first created the Discover Your Bliss system, I was surprised at how quickly I uncovered my own purpose in life. 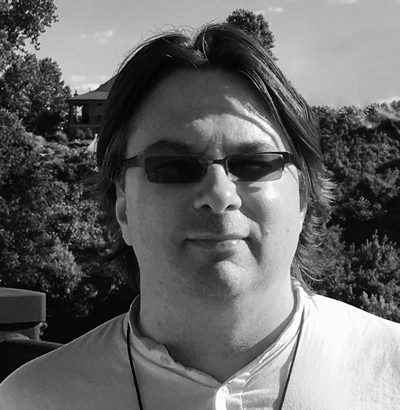 For five years I had been on a path of self exploration and transformation. Discover Your Bliss added clarity in less than a week, and I now know my true bliss in life. I'm excited to share this program with you, and I know it'll have a profound impact.